Why not buy them the gift of photography and let them capture special moment that they will remember for the rest of their life? Our gift certificate can be used for any photography service including any photoshoots and lessons. A personalized certificate can be sent by mail, email or available for local pick-up. The recipient's name, your name, and the value of the certificate will be shown on the gift certificate. Also our gift certificates never expire. 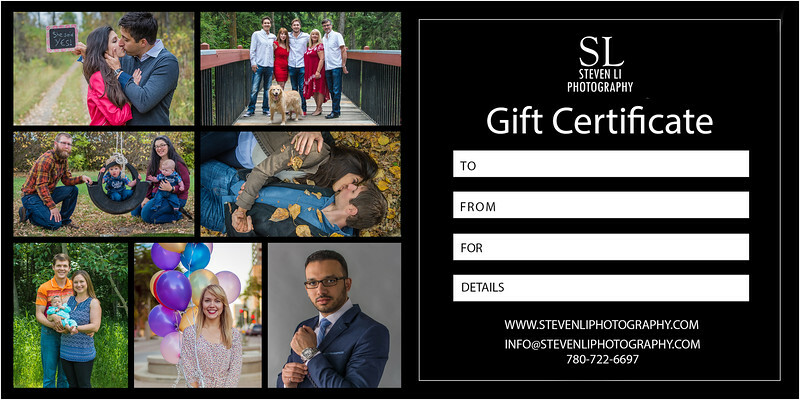 To purchase a gift certificate please email us with the amount you would like to purchase at info@stevenliphotography.com.